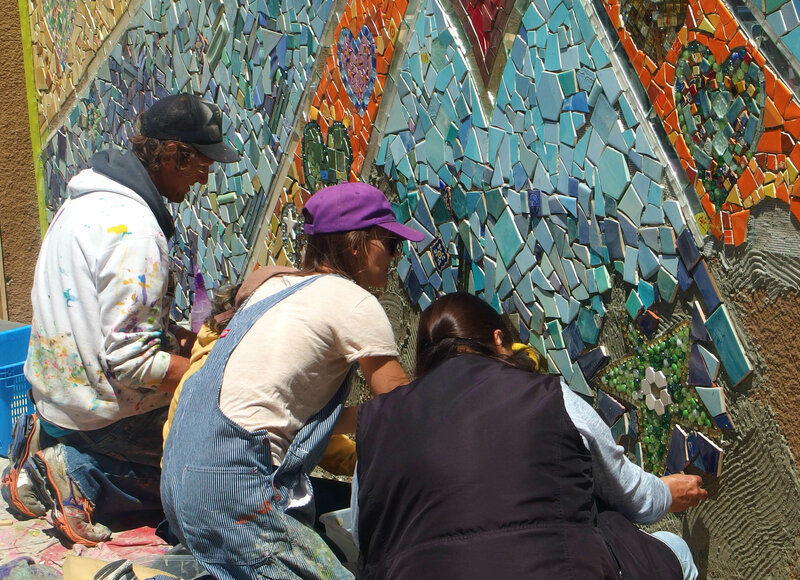 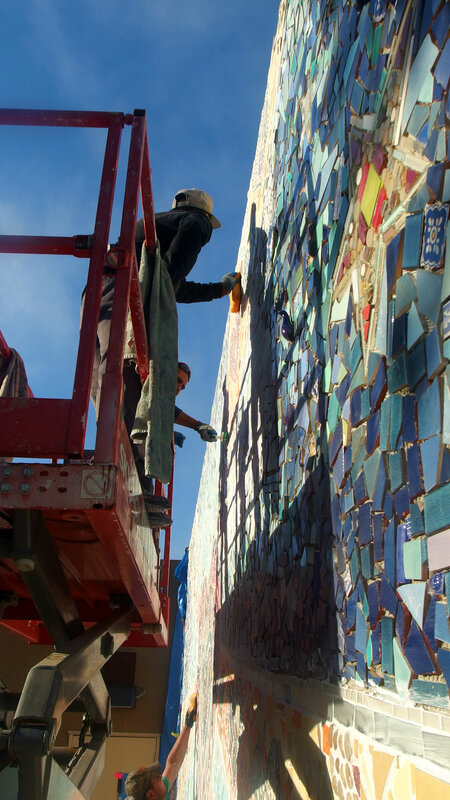 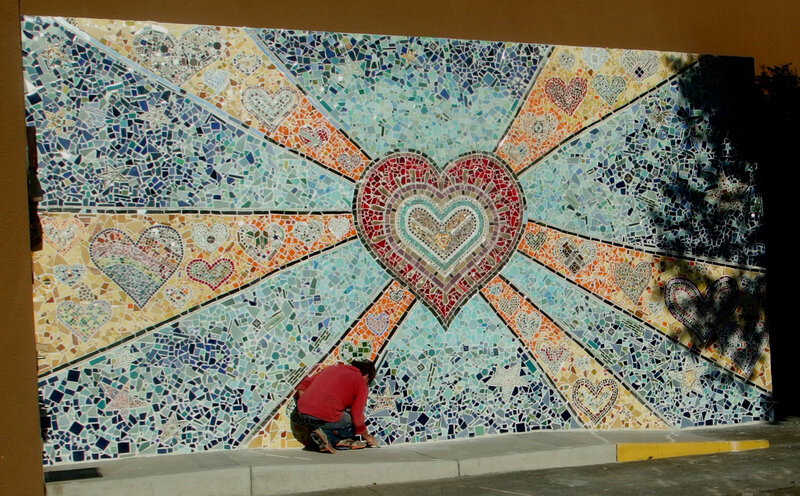 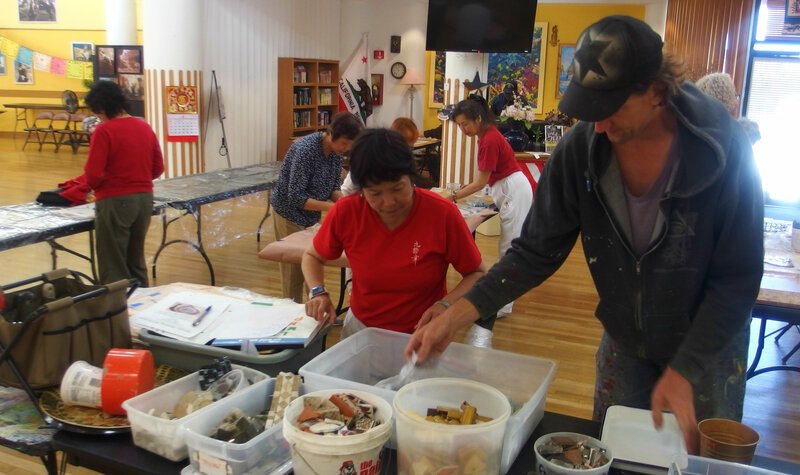 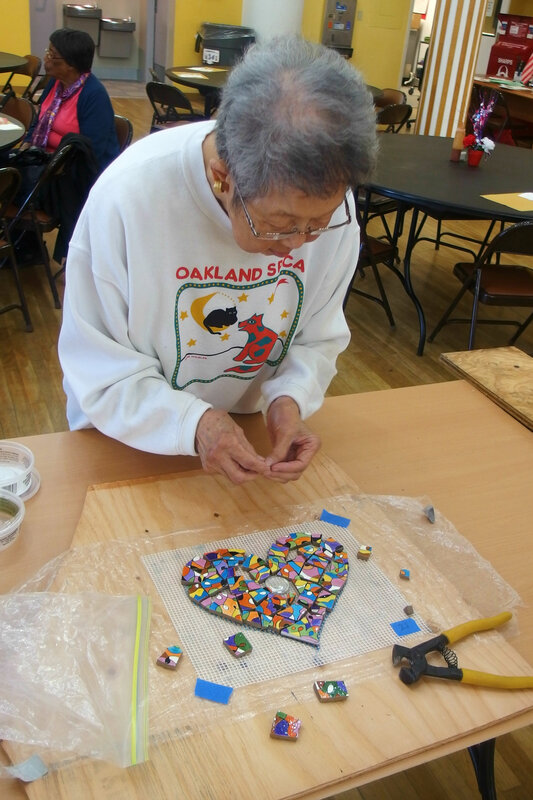 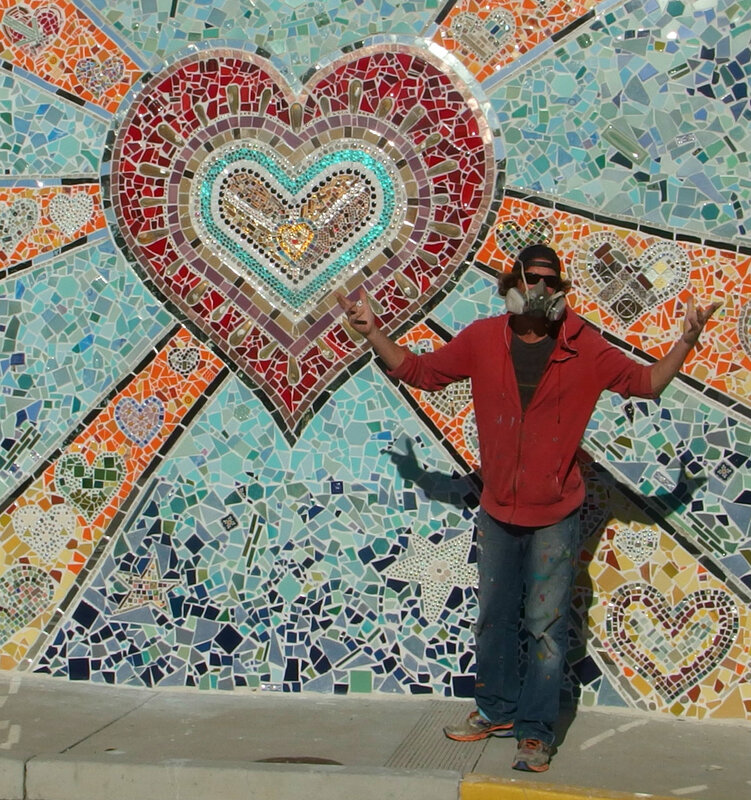 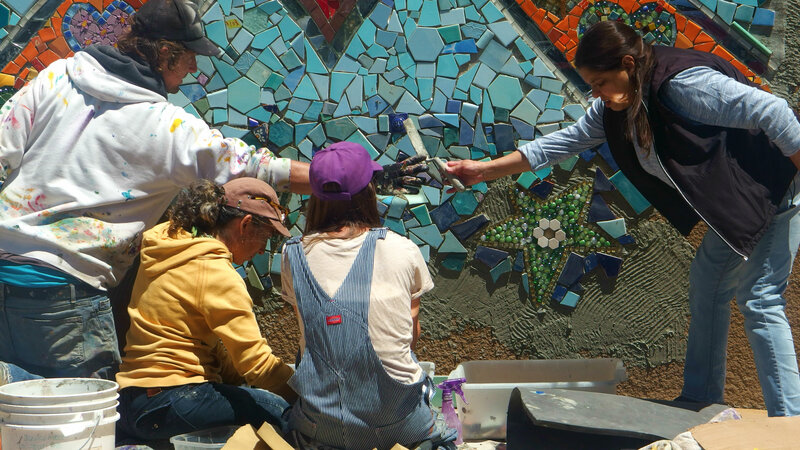 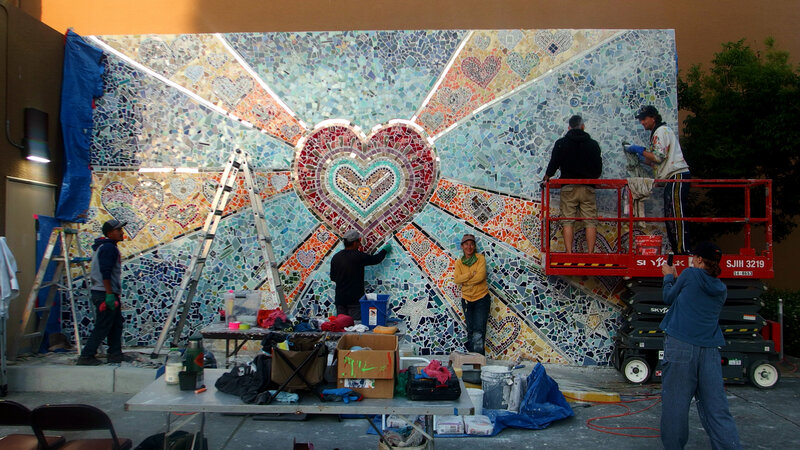 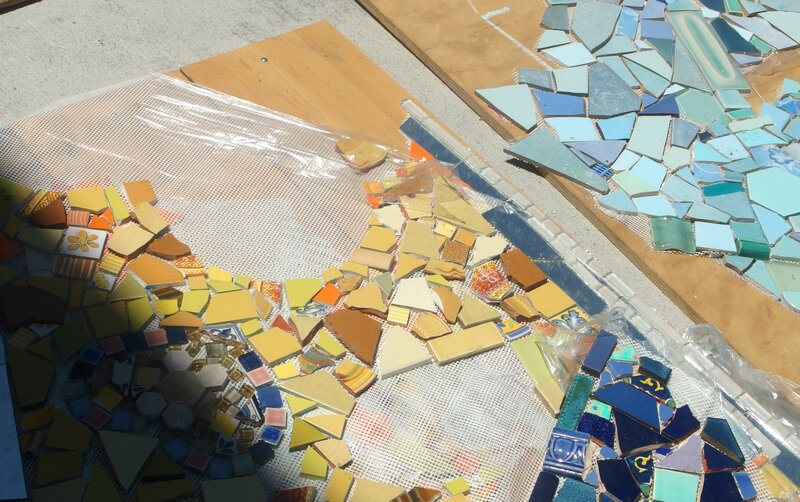 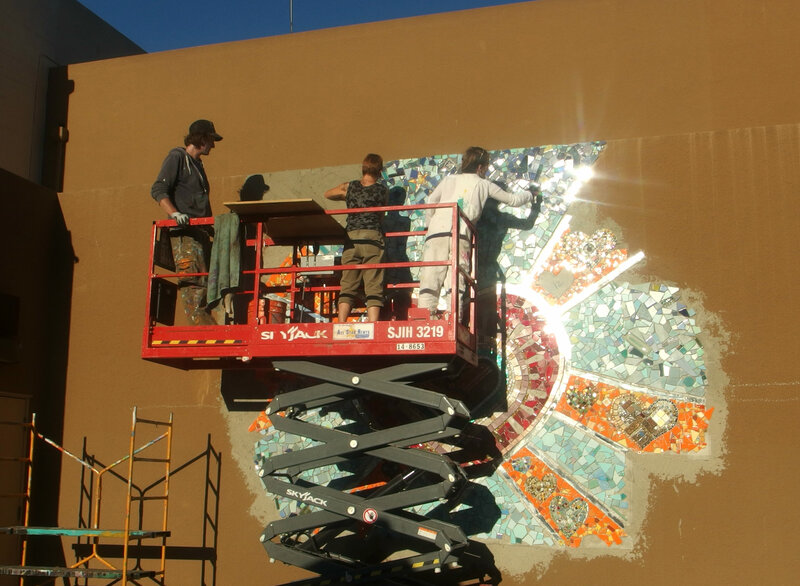 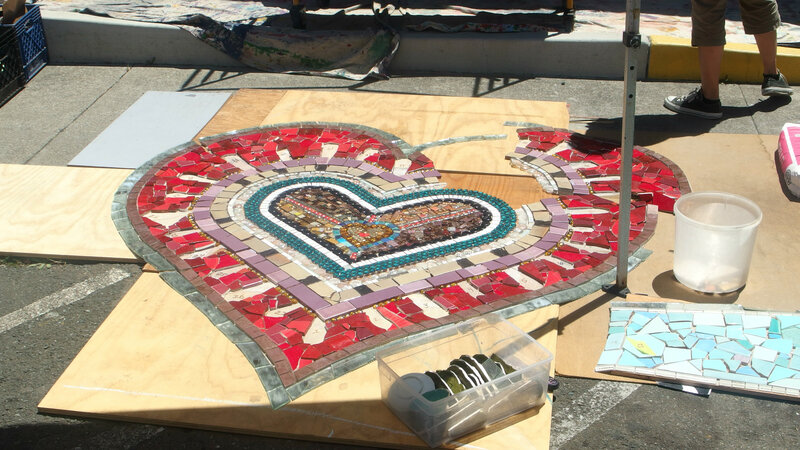 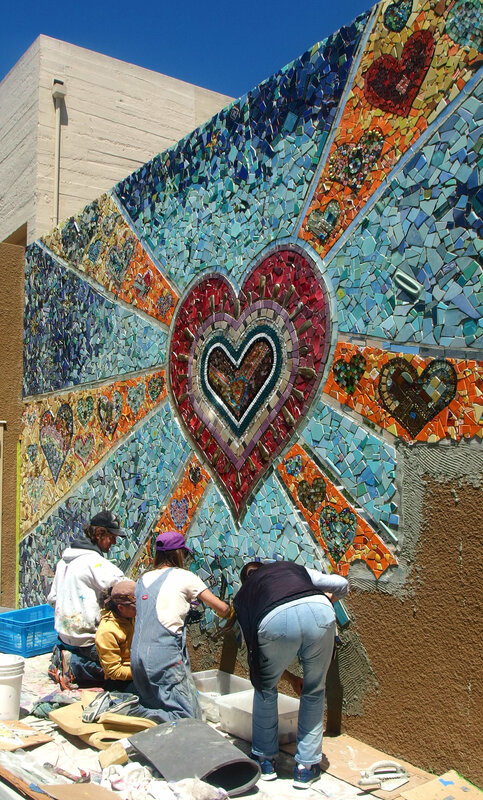 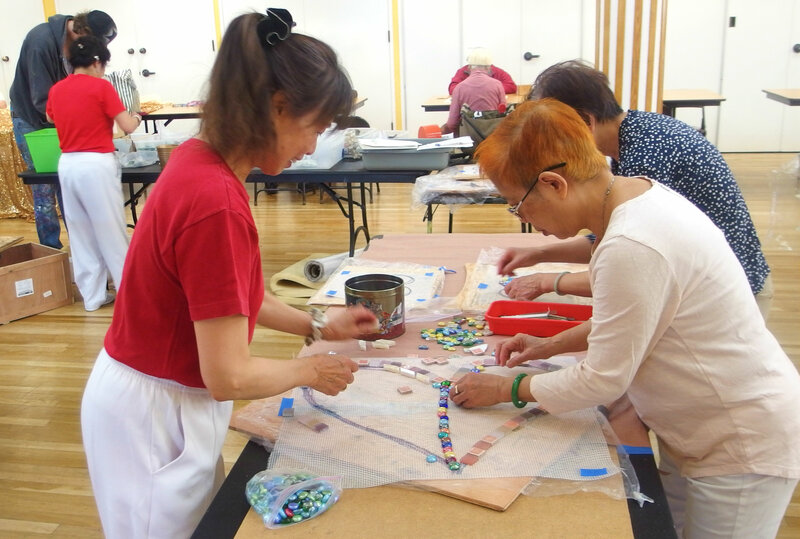 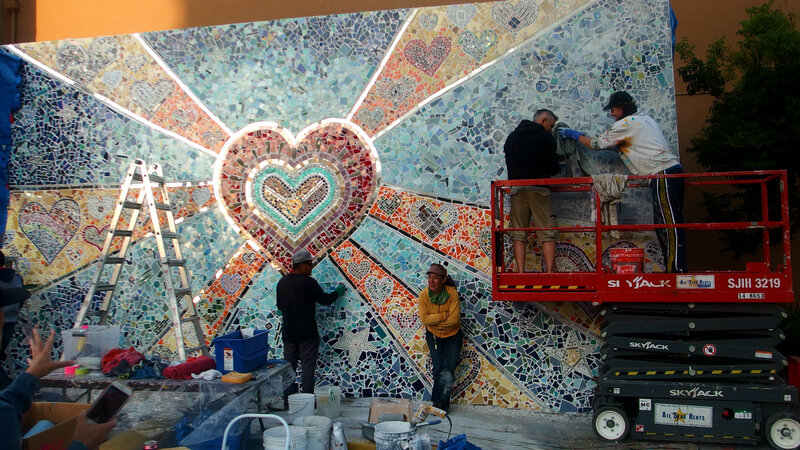 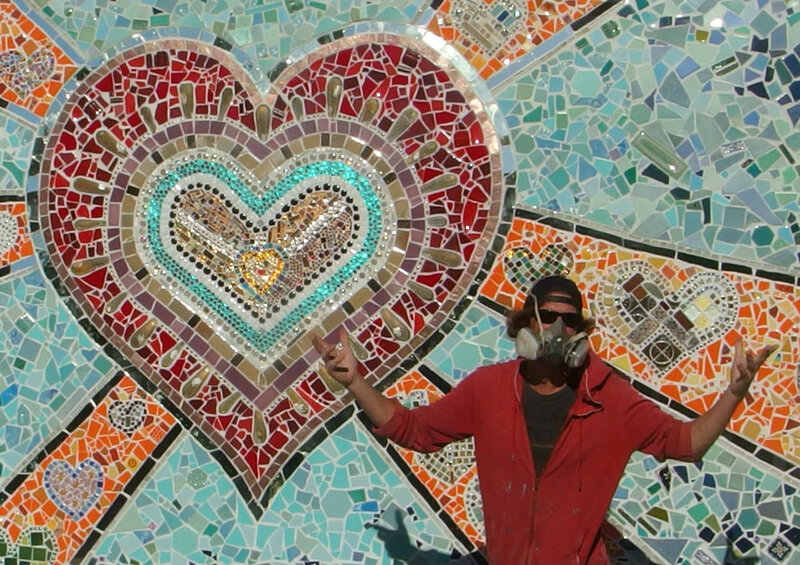 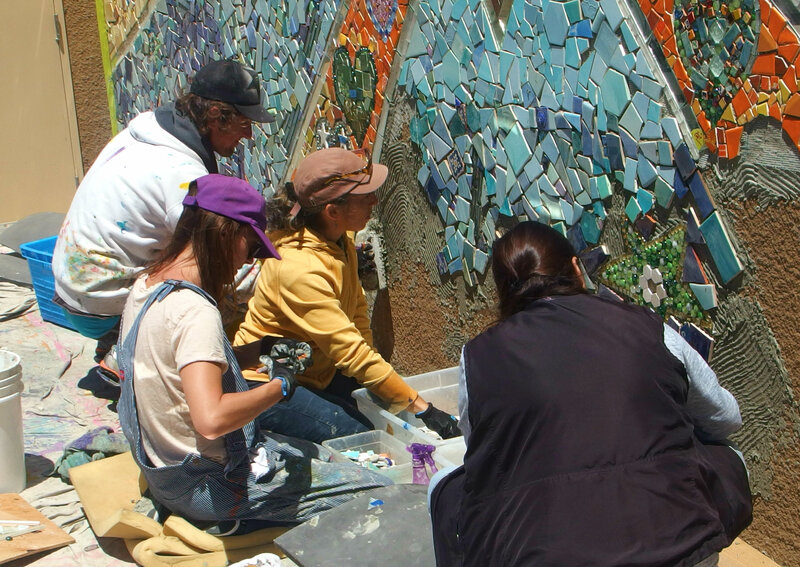 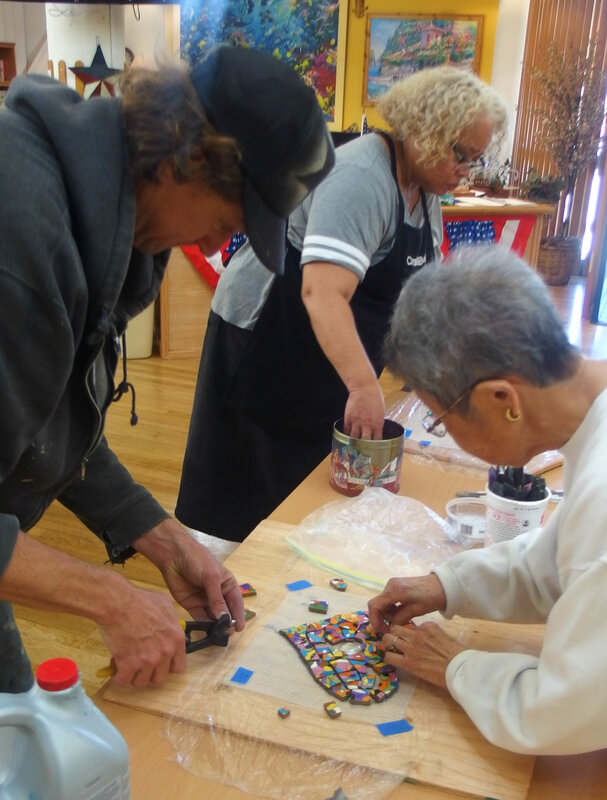 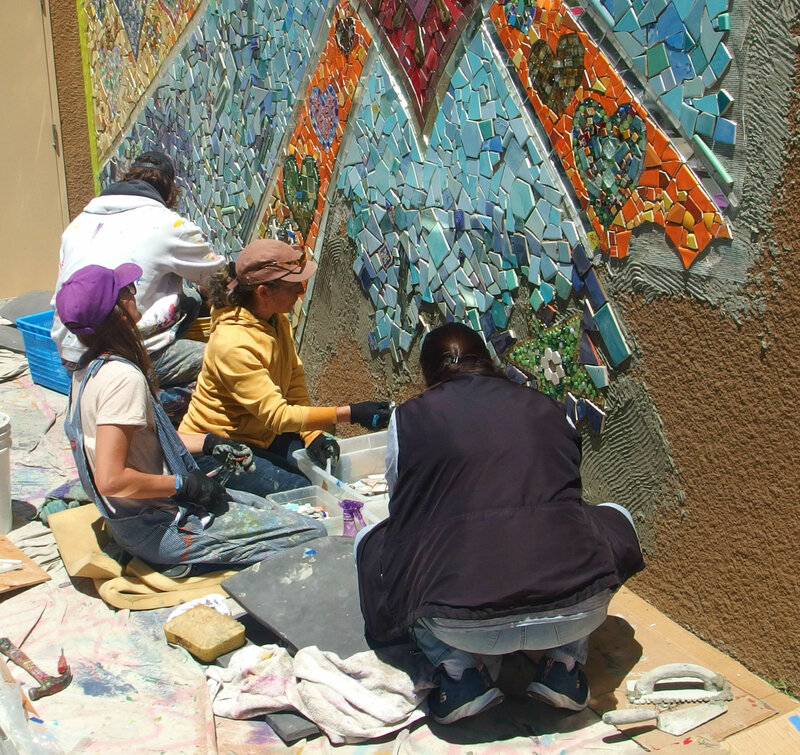 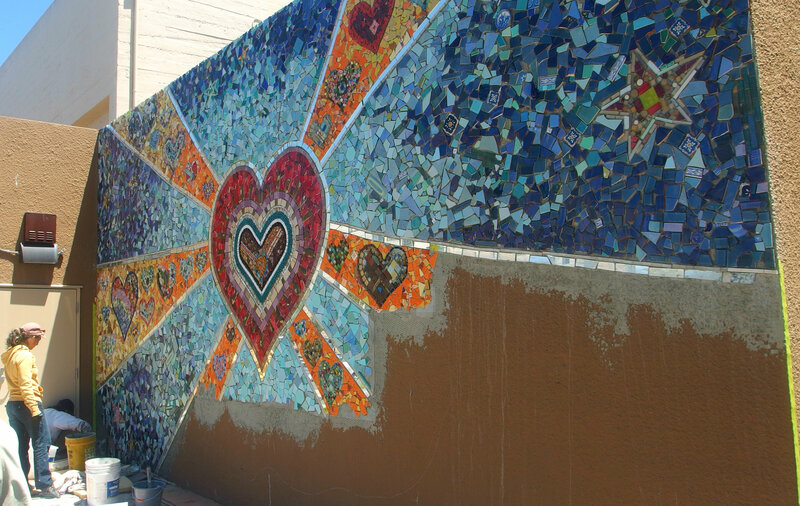 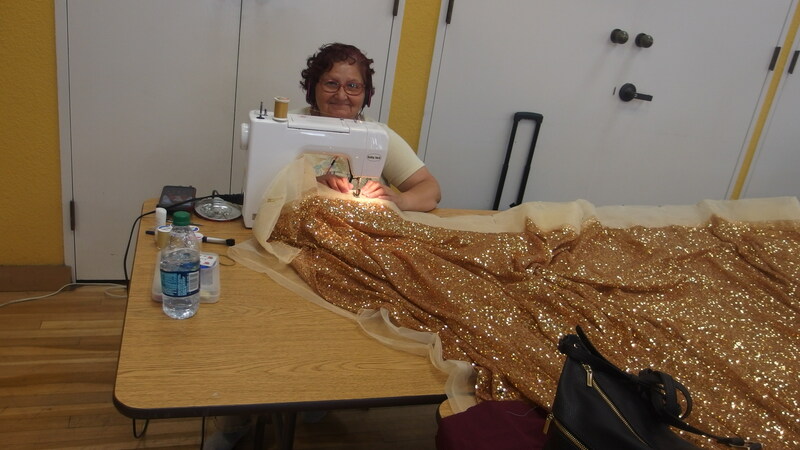 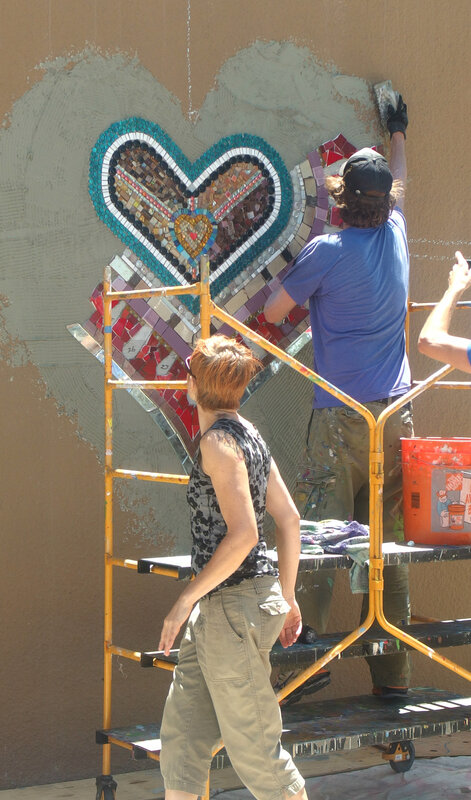 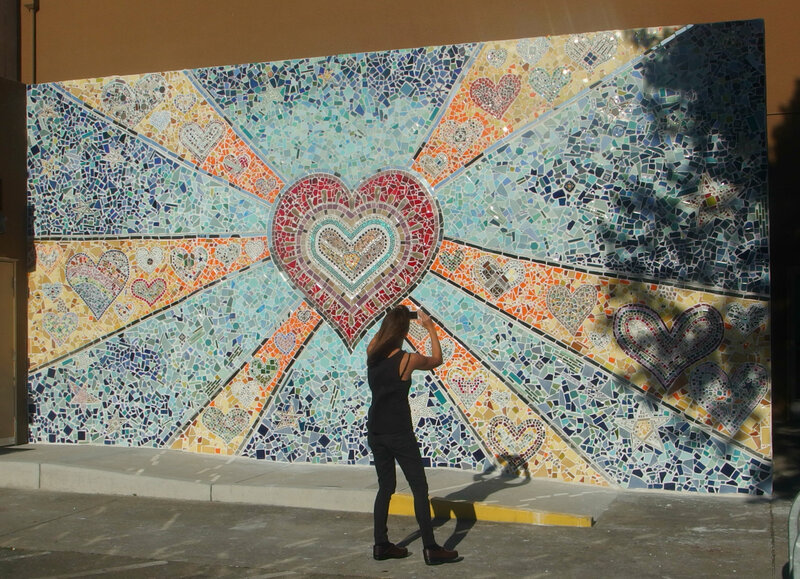 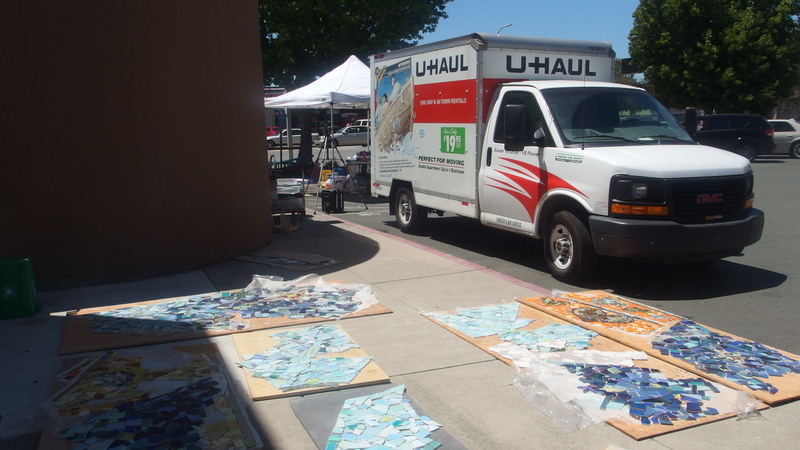 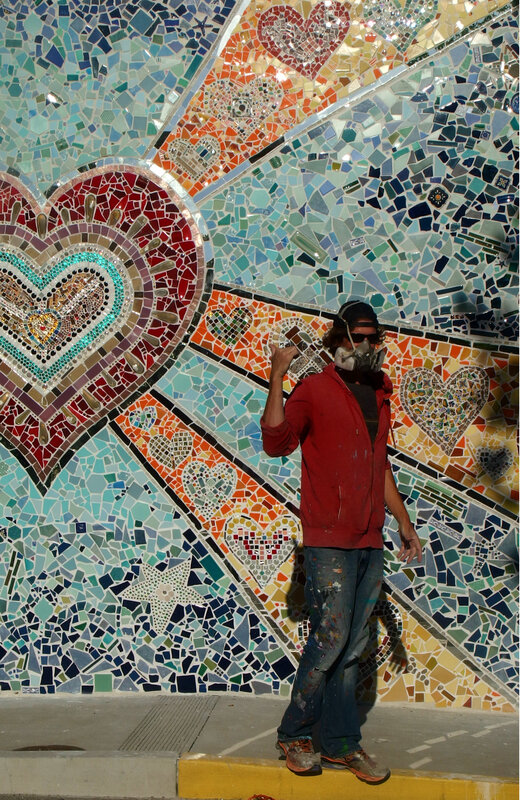 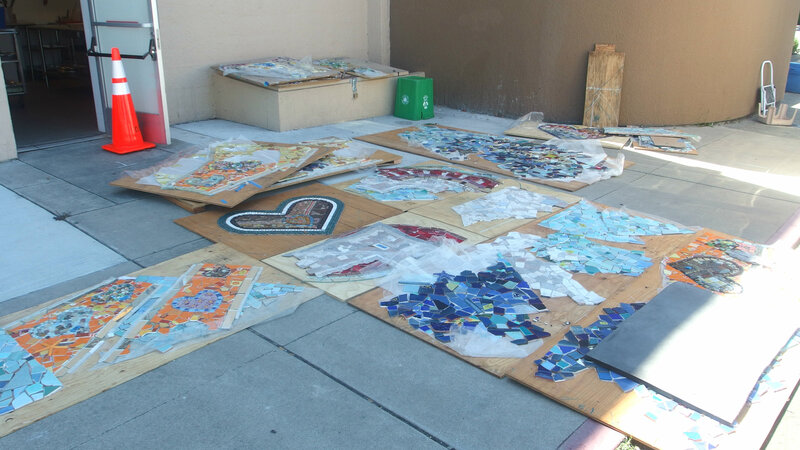 In late 2017, Create Peace Project was awarded a grant from the Richmond Arts and Culture commission to lead the creation of a large mosaic mural, as a collaborative community arts enrichment here in Richmond, CA. 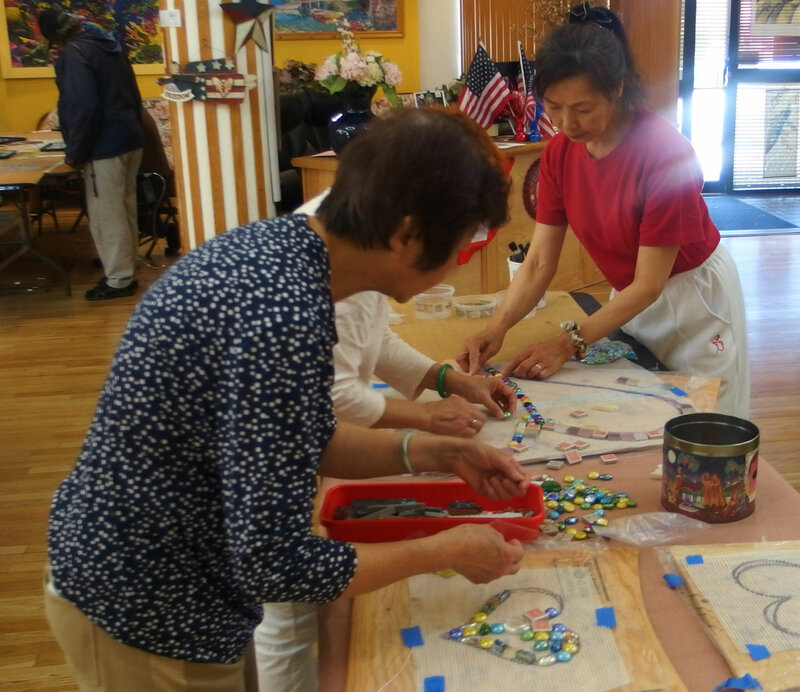 For this project, we selected the Richmond Senior Center to be the site of our mural installation. 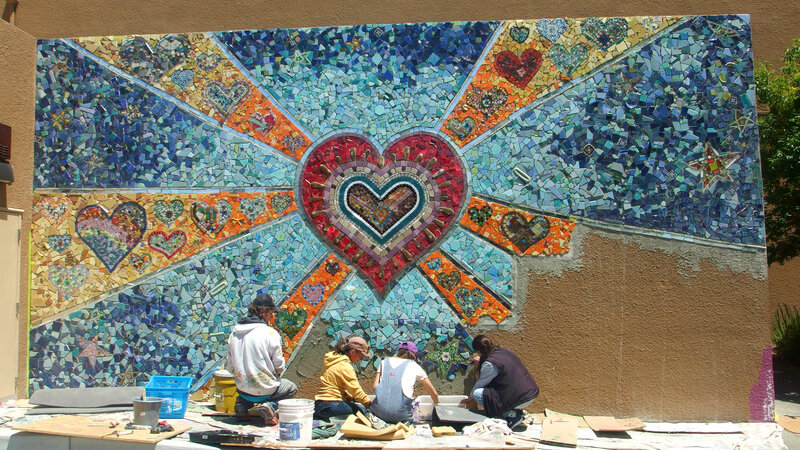 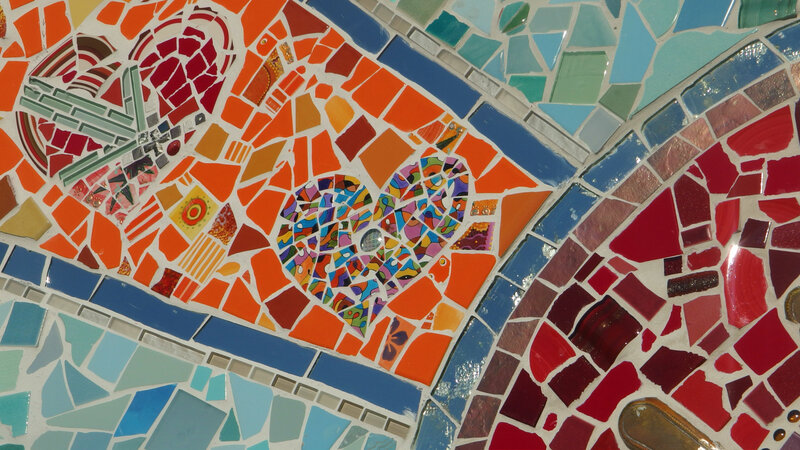 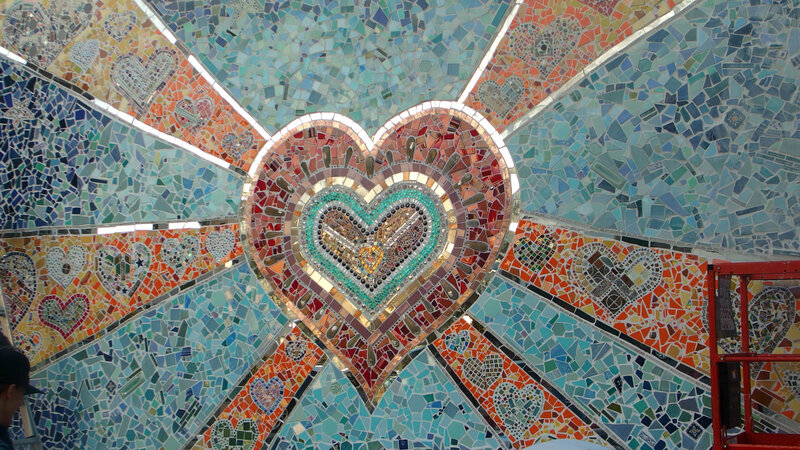 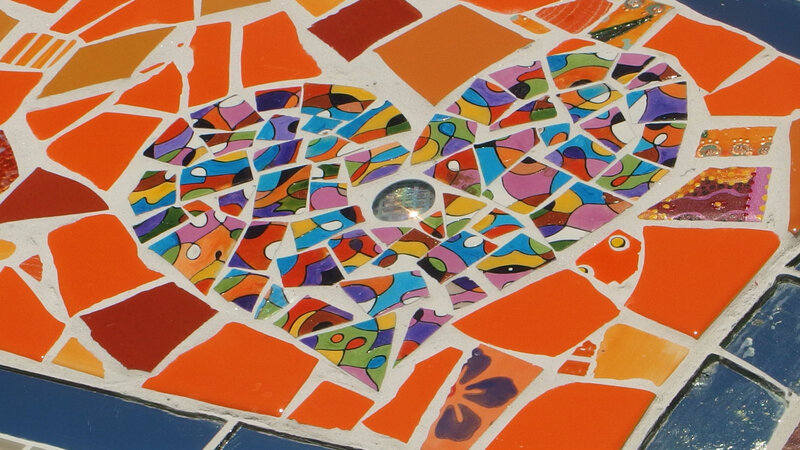 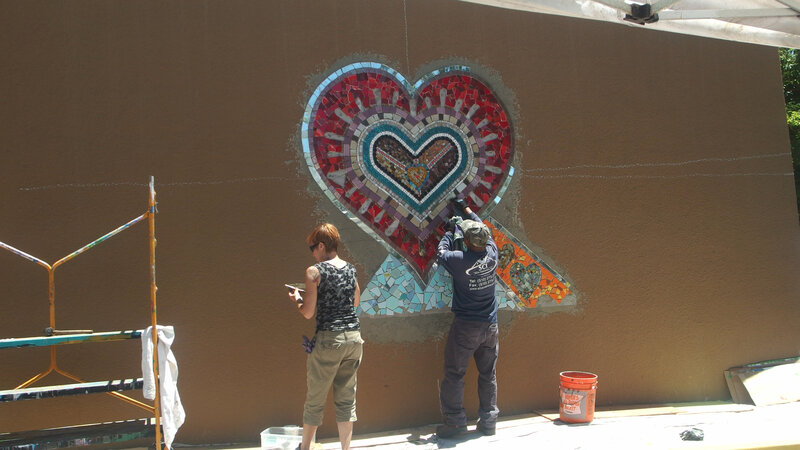 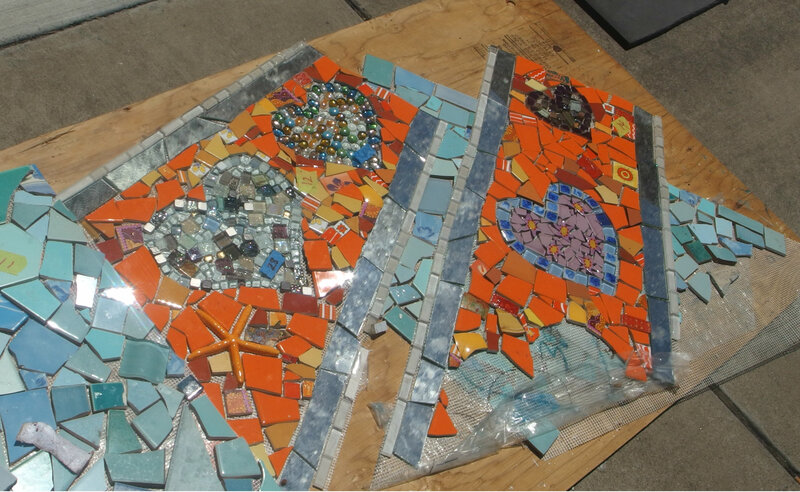 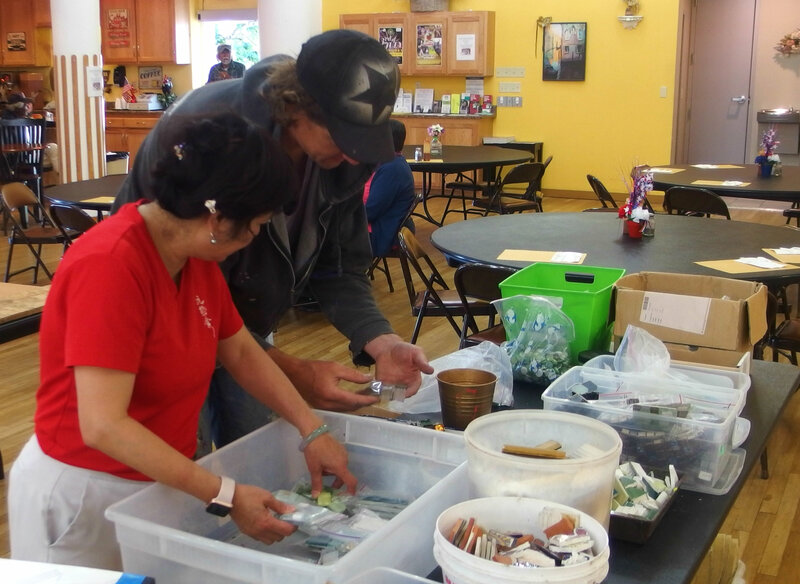 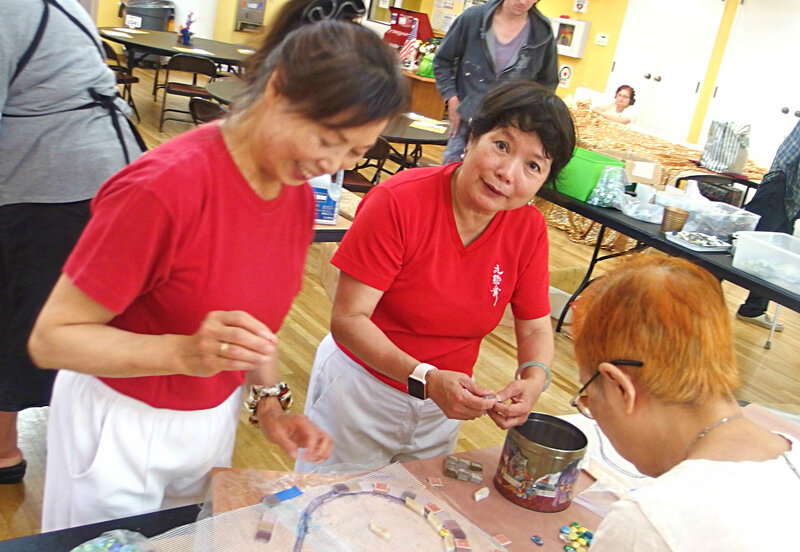 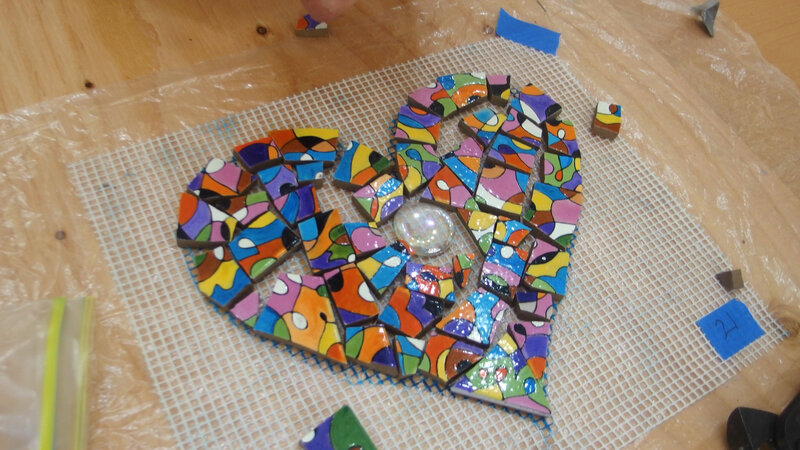 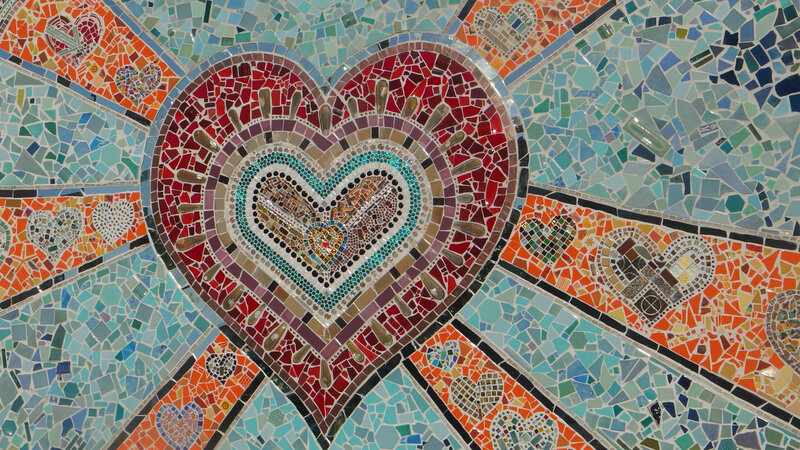 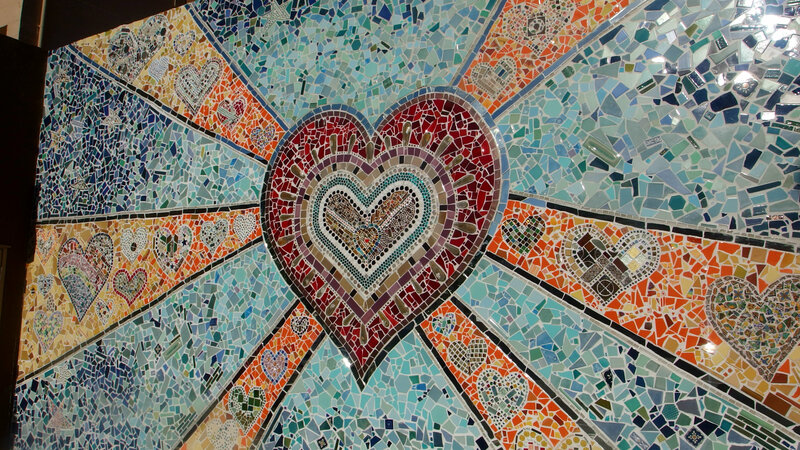 For the creation of this mosaic, Create Peace Project facilitated several community art making days. 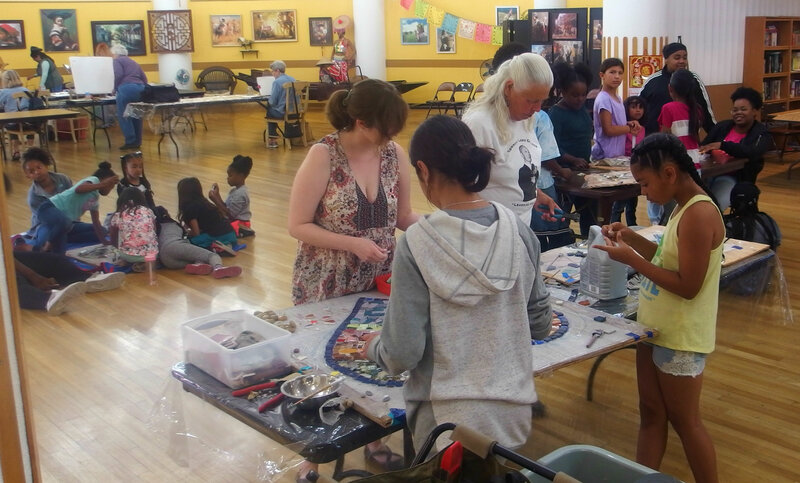 We spent several days at LaVonya DeJean Middle school, working with 150 6th graders who were enrolled in their summer school program. 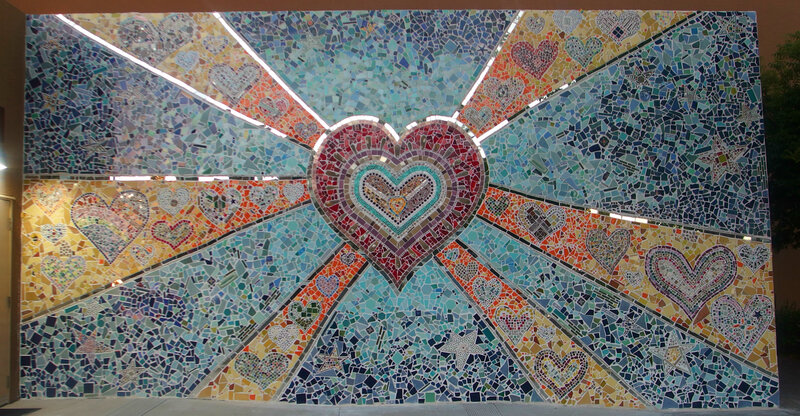 Students worked together to create small and medium sized hearts and stars to be part of the larger mural. 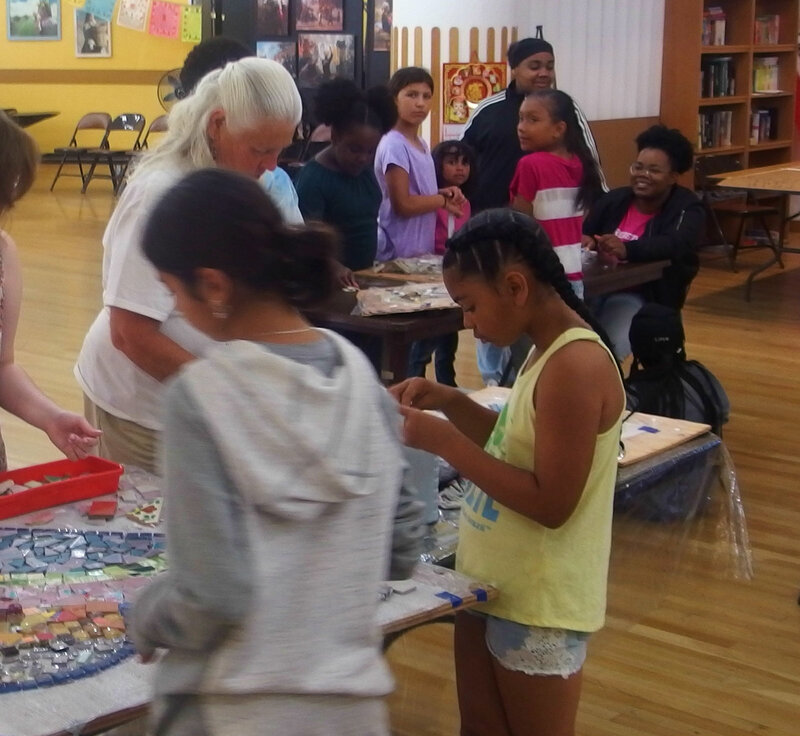 In addition to working with these students, CPP enrolled more than 80 seniors and another 30 youth from the local Girls Inc group. 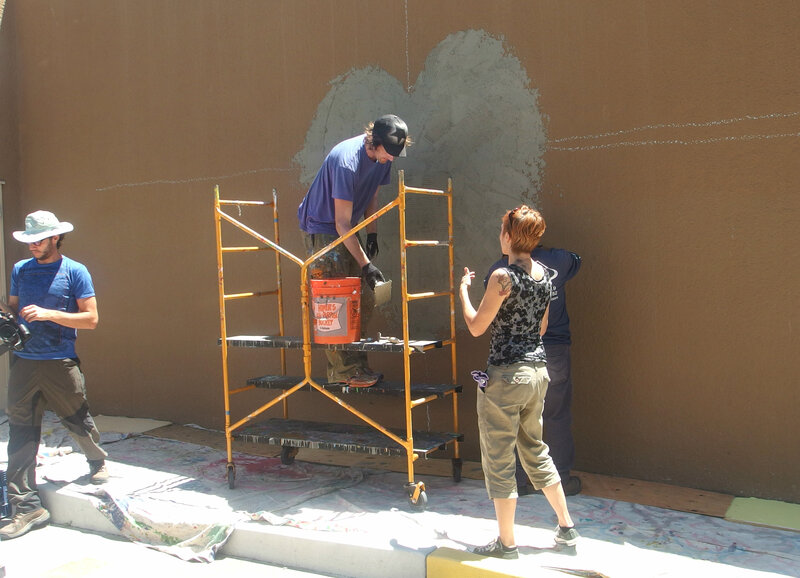 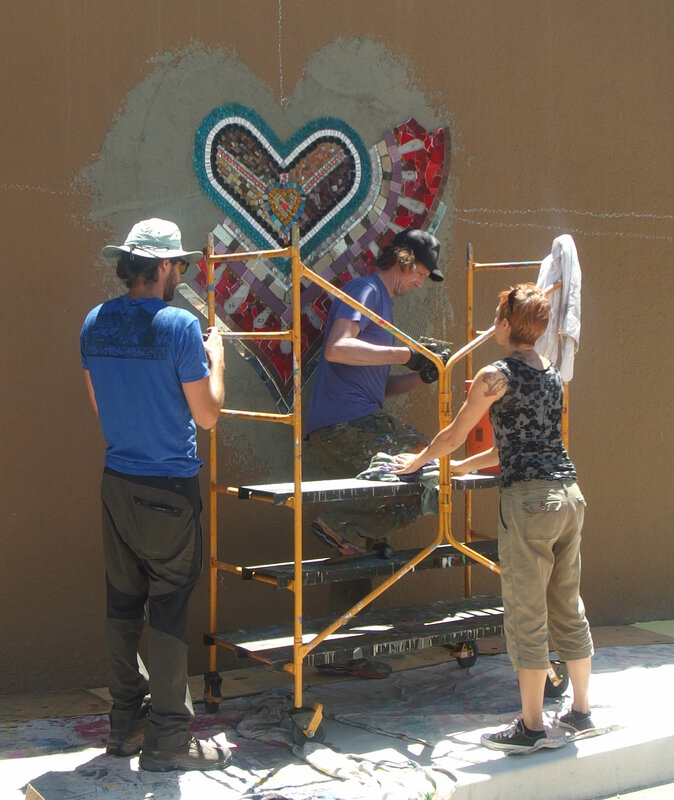 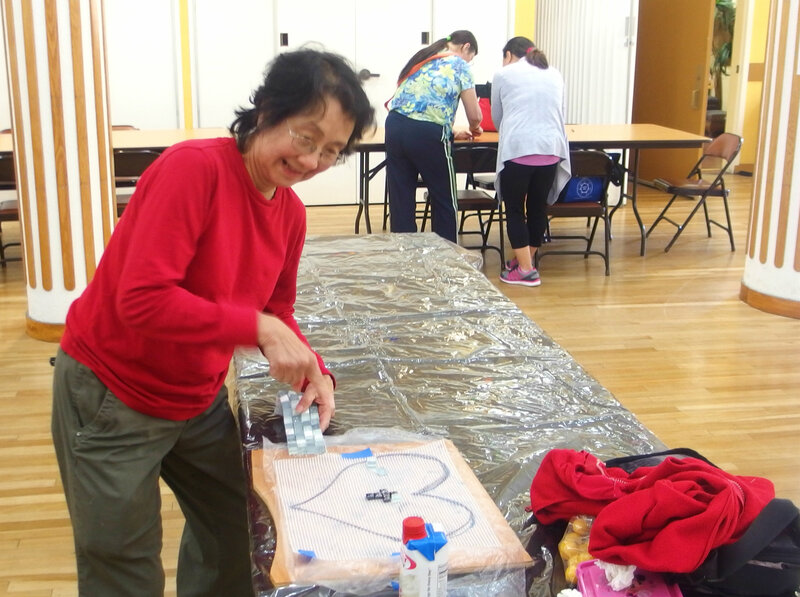 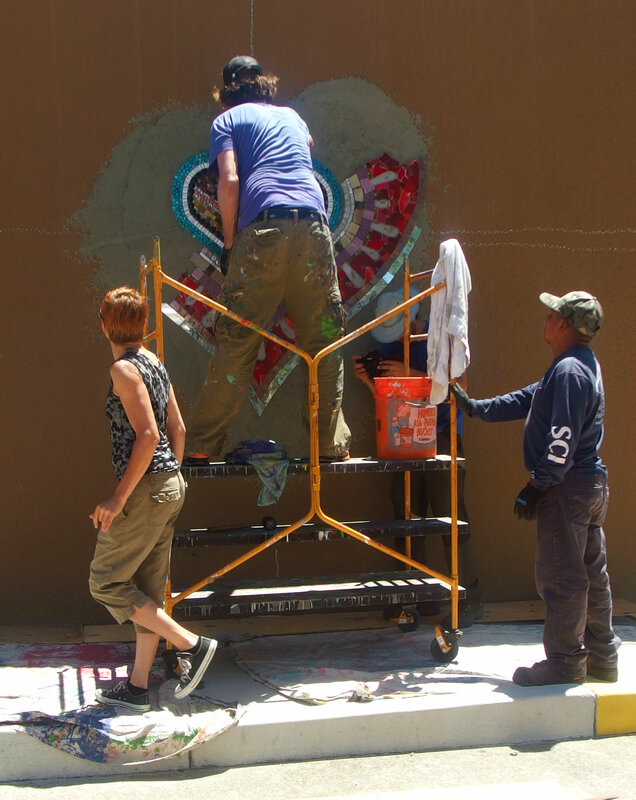 Seniors and youth also created hearts and starts that were included in the larger mural.